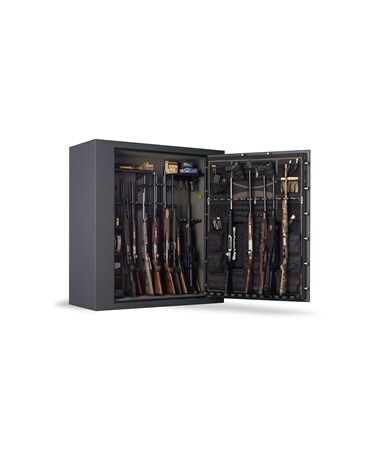 The Browning 65-Gun Hell's Canyon Extra Wide Gun Safe is a large and highly secure unit for safe-keeping firearms while not protruding excessively into the room in which it is placed. 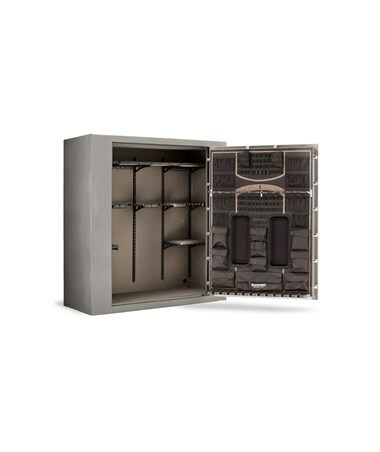 It features UL Residential Security Container (RSC), a high fire rating, multiple protection to keep the contents safe and in its best condition. 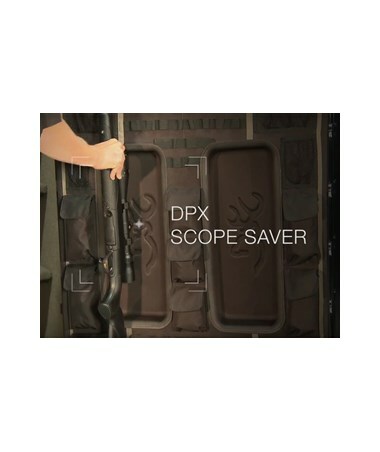 The interior includes a fully adjustable rack, a door organizer with scope saver gun rack, and pouches and pockets for pistols and other valuables. 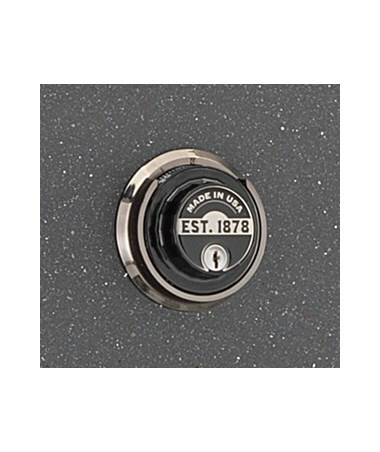 It uses a UL listed Sargent & Greenleaf (S&G) lock that is either a mechanical or electronic. 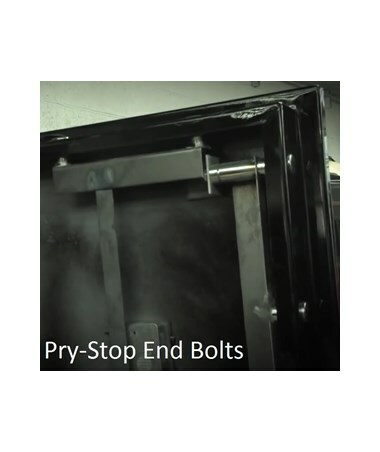 Brute force attempts of accessing the safe are prevented by the rotating cam system that transfers the force away protecting the lock and bolts. 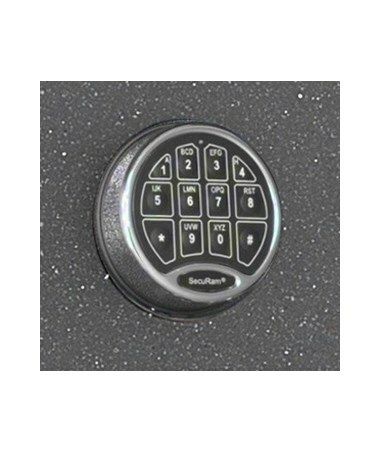 A total of 14 solid steel bolts, eight locking, and six deadbolts, keep the door securely shut. 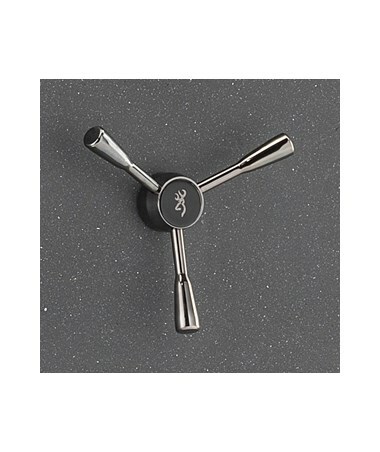 The extra-long corner locking bolts have steel angle irons at the end to protect the locking support bar from pry attacks. 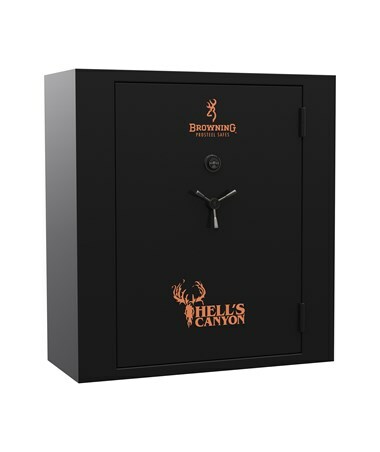 This safe can withstand an external heat of 1680 degrees Fahrenheit for an hour and a half while maintaining an internal temperature of 350 degrees Fahrenheit. 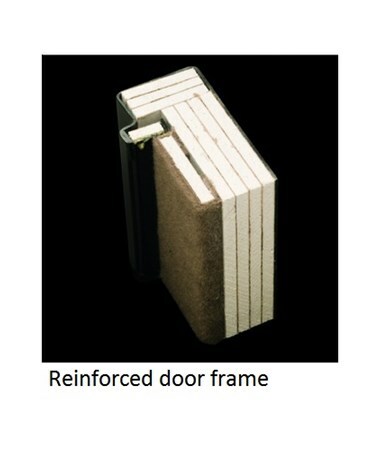 The heat-activated Palusol expandable door seal keeps out smoke and water. 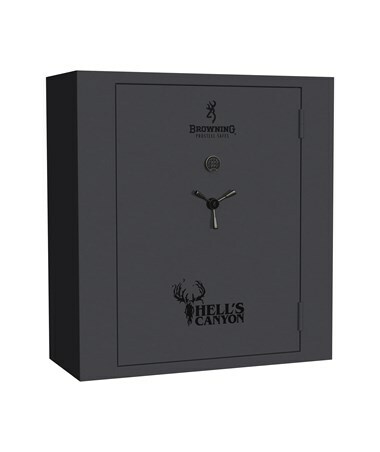 The Hell's Canyon gun safe is made of steel with an 11-gauge continuously-welded body and an inch thick door. 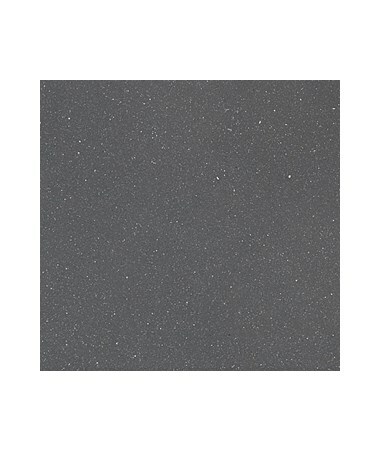 This door has a reinforced frame for added protection and external ball-bearing hinges that allow open up to 180 degrees for a full access to the interior. 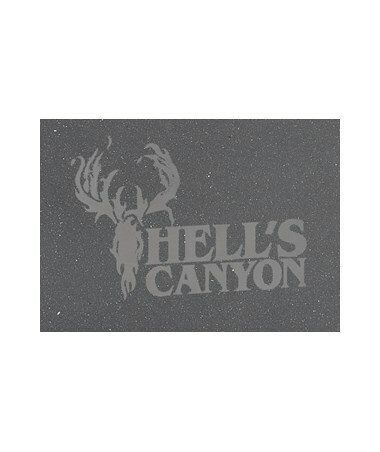 Also included are a three-spoke door handle with a black chrome finish and a silk-screened logo and scroll. 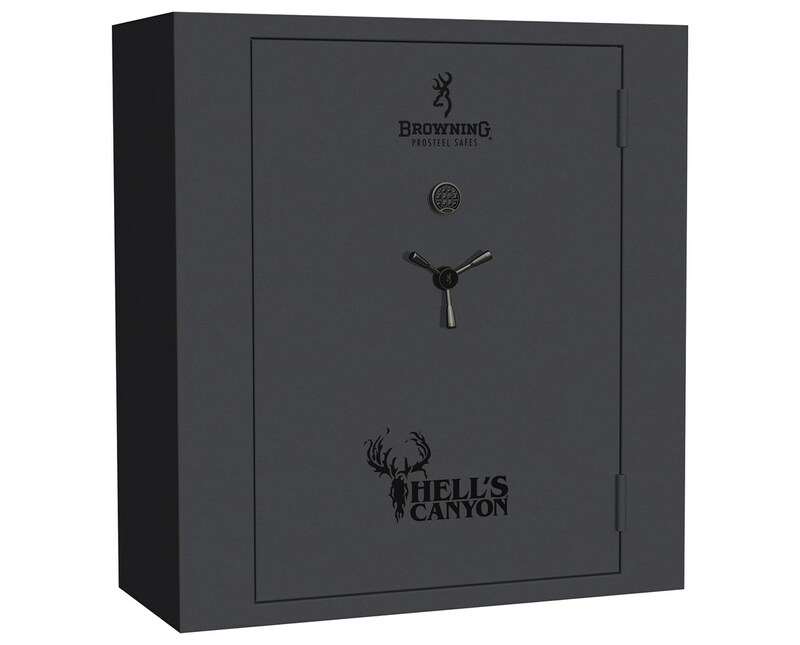 The Browning 65-Gun Hell's Canyon Extra Wide Gun Safe is available in different locks and finishes. 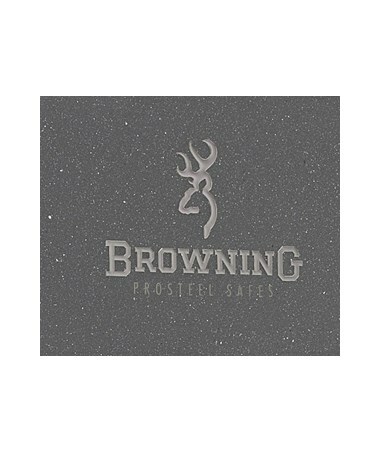 Please select your preference from the menus above.